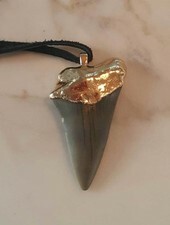 FIN jewelry was founded by New York jewelry designer and shark wrangler, Bella Ornaf, in 2013. 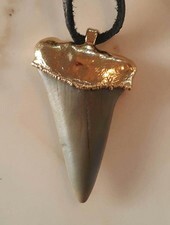 While setting roots in Montauk, NY as a local shark wrangler and megalodon tooth seller she started to make necklaces out of prehistoric teeth with designs inspired directly from the ocean and the environment around her. Each piece is found 200 feet down on the sea floor of the Atlantic Ocean, the pieces are then hand selected and dipped in 18kt gold. No sharks are ever harmed in the collection of these teeth. 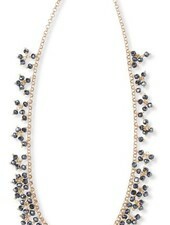 5% of sales go to a shark conservation organization. 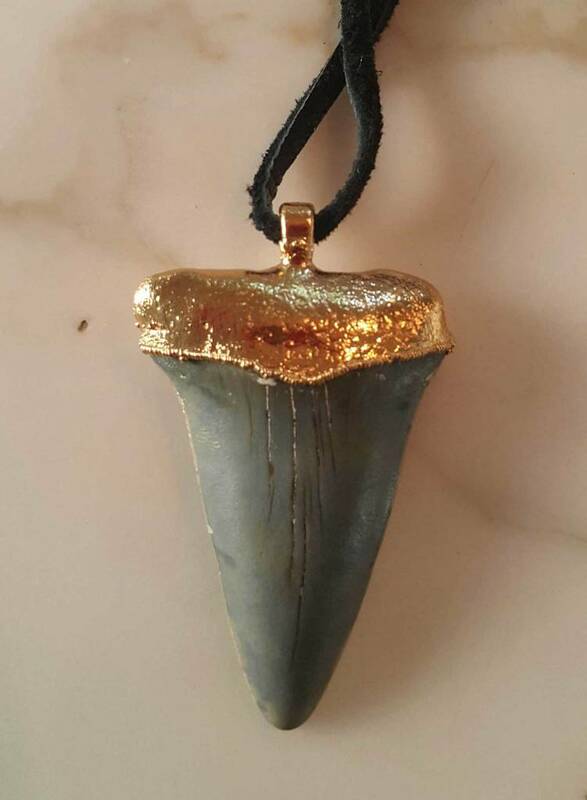 Big FIN fossilized tooth found off the coast of North Carolina, 200 feet below the sea, is about 2 inches in length. 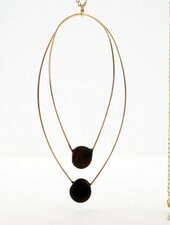 Dipped in 18kt gold and hung from an adjustable 30" black suede cord.